The almost 9 thousand prisoners, the majority of them sick or suffering from exhaustion, were left behind in the Main Camp (Stammlager), Birkenau, and the sub-camps as unfit to join the evacuation march. The SS intended to eliminate these prisoners, and only fortunate coincidences prevented them from doing so. The SS did manage to murder about 700 Jewish prisoners in Birkenau and the sub-camps in Wesoła (Fürstengrube), Gliwice (Glewitz IV), Czechowice (Tschechowitz-Vacuum) and Blachownia Śląska (Blechhammer) between the departure of the final evacuation column and the arrival of the Red Army. 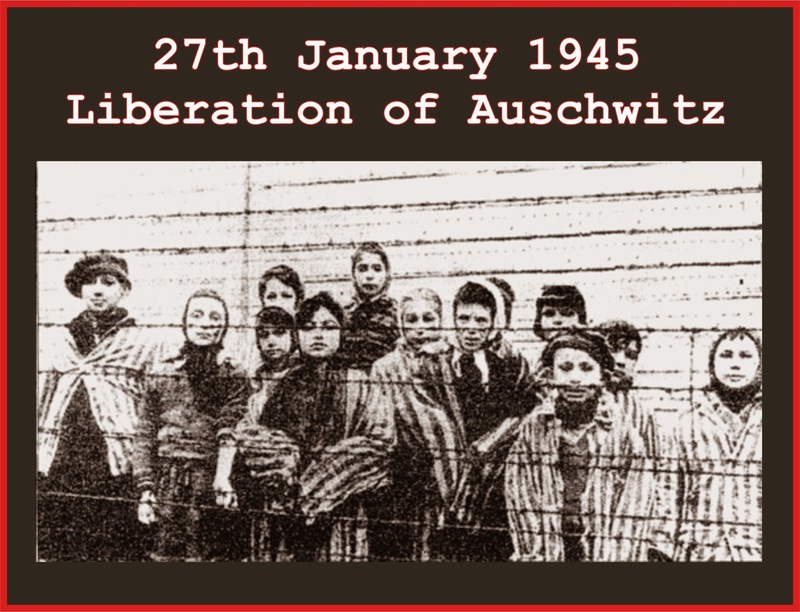 Soldiers of the 60th Army of the First Ukrainian Front opened the gates of Auschwitz Concentration Camp on January 27, 1945. In the Main Camp and Birkenau, Soviet soldiers discovered the corpses of about 600 prisoners who had been shot by the withdrawing SS or who had succumbed to exhaustion. This photograph was taken at Auschwitz-Birkenau by Alexander Vorontsov, a Soviet photographer who accompanied the soldiers of the Red Army when they liberated the camp on 27 January 1945. The photograph depicts 13 children. Seven of the children have been identified.